As FCA begins the daunting task of re-inventing Alfa Romeo as an equal competitor to Audi, BMW and Mercedes-Benz in the Premium Sports Luxury sector, it's likely the 'Alfisti' will be left behind. Alfa Romeo’s past models were never considered, nor conceived, to compete with the mighty German marques. They were, by and large, bargain-priced compared to expensive German models. 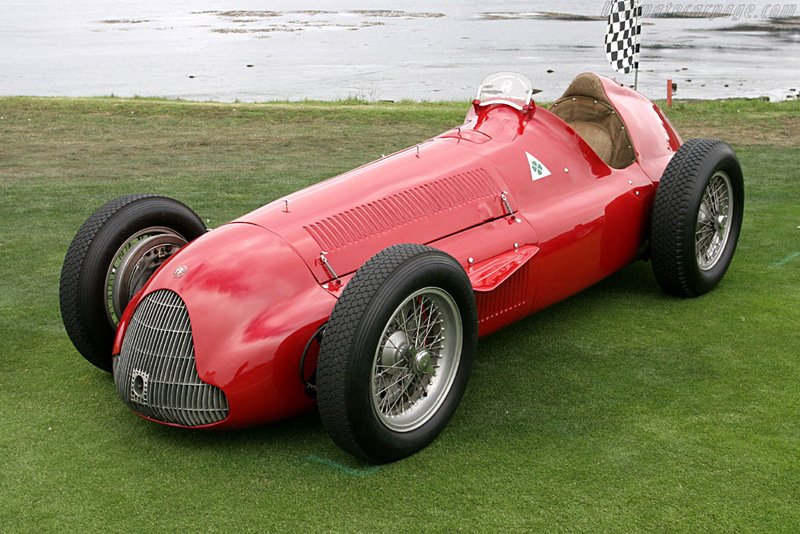 Affordable, sporty performance was the traditional Alfa Romeo domain. 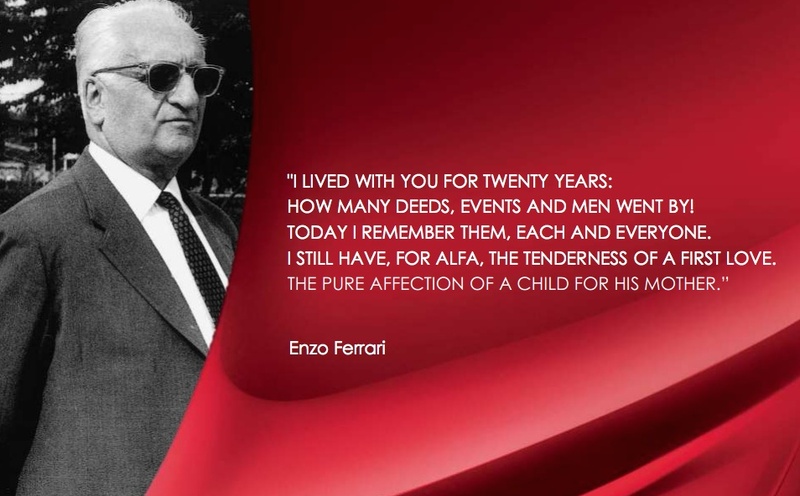 The other aspect of Alfa Romeo's storied history unlikely to play any part in this reinvigoration of the brand will be motor sport. Alfa Romeo began life as a racing marque, and its racing successes informed both the culture of the company, and its image. People are surprised to learn that in the lead-up to WW2, it was decided by Italy's Fascist government, that Alfa Romeo should devote its facilities to the production of military machines. However, its development of racing cars should continue – although the cars would be campaigned by a small, private team called Scuderia Ferrari. 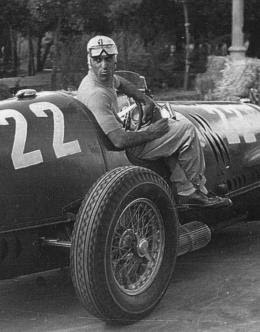 However, in 1935 Alfa Romeo enjoyed a banner year, with its incredibly successful 8C driven by Tazio Nuvolari winning a cavalcade of events including many Grands Prix. 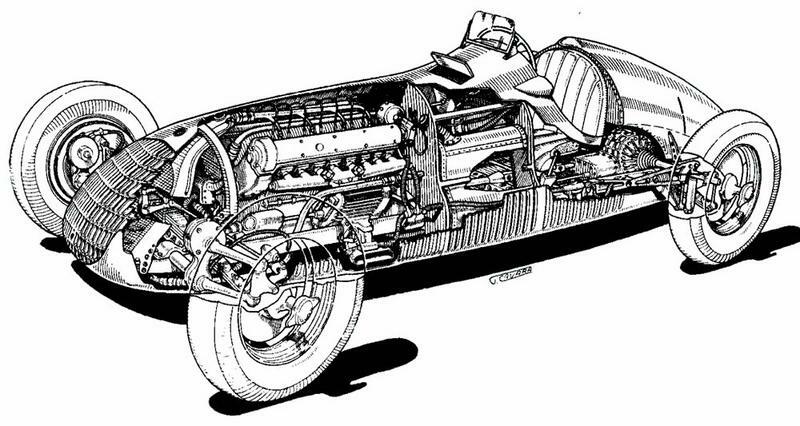 One of the important technical aspects of the 8C was its, then, revolutionary rear end design featuring all-independent suspension and the gearbox (transaxle) mounted at the rear of the car. According to Nuvolari, “the car was trying to kill me”, and the rear swing-axle suspension design was considered dangerous, even by the engineers who designed it. 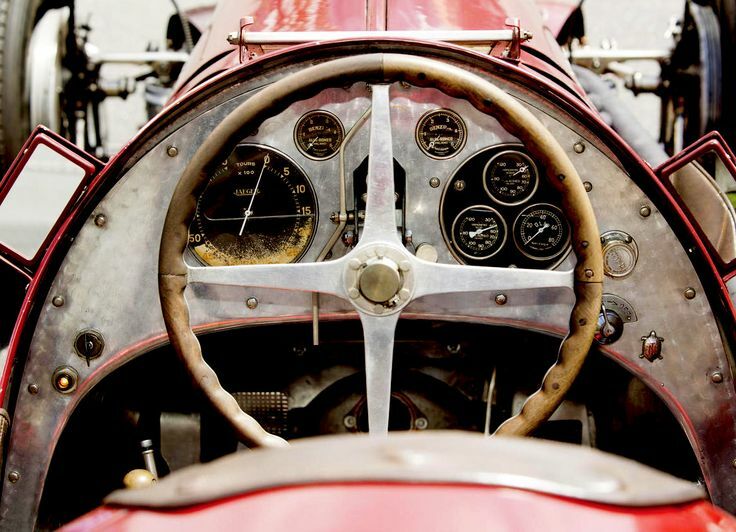 Alfa Romeo took advice from a surprising choice of consultants, Dr. Ferdinand Porsche, who was then the designer of the highly successful Auto Union racing cars. Porsche knew much more about sophisticated suspension design, including varying spring and damper settings; understanding the impact of the car’s ‘roll centre’ and how that translated into handling. 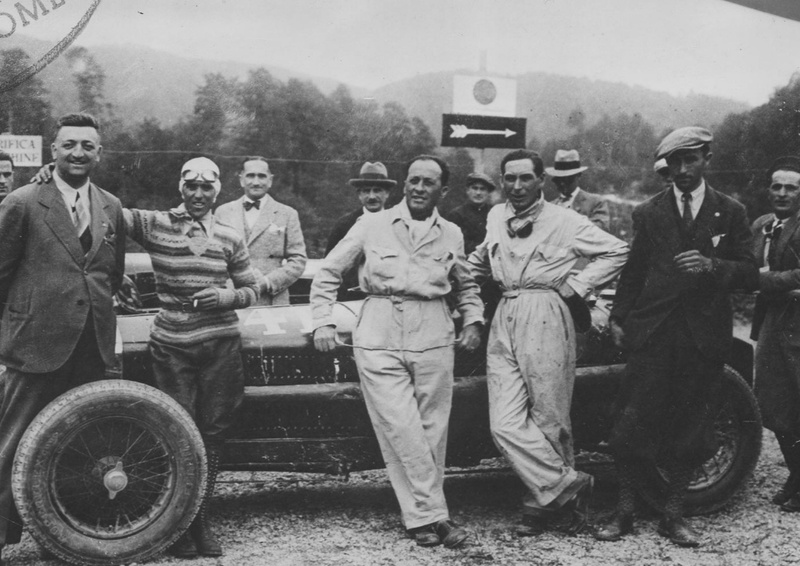 Once the engineers followed Porsche’s recommendations, Nuvolari agreed to continue racing the 8C, now much improved – leading to his string of successes in 1935 and 1936. In the early 50s Alfa Romeo returned to the design elements of the 8C with the ‘Alfetta’ Tipo 159, again another successful racing car, which featured a rear transaxle. 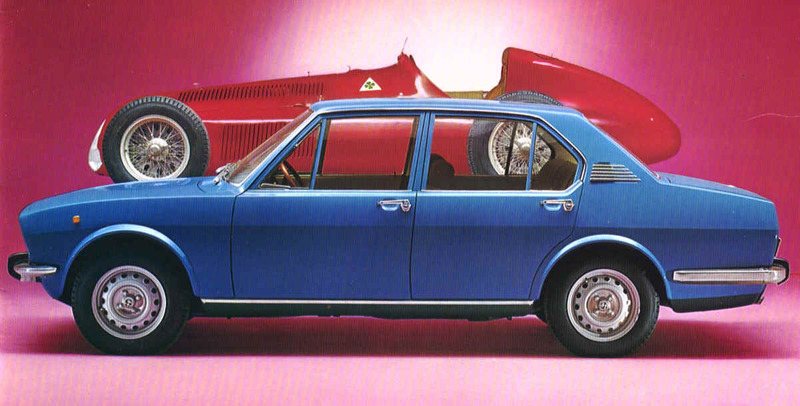 Then in the mid 1970s, Alfa Romeo brought this feature to its production cars, with the introduction of the Alfetta sedan and coupe - a pair of beautifully-balanced and exciting cars to drive. 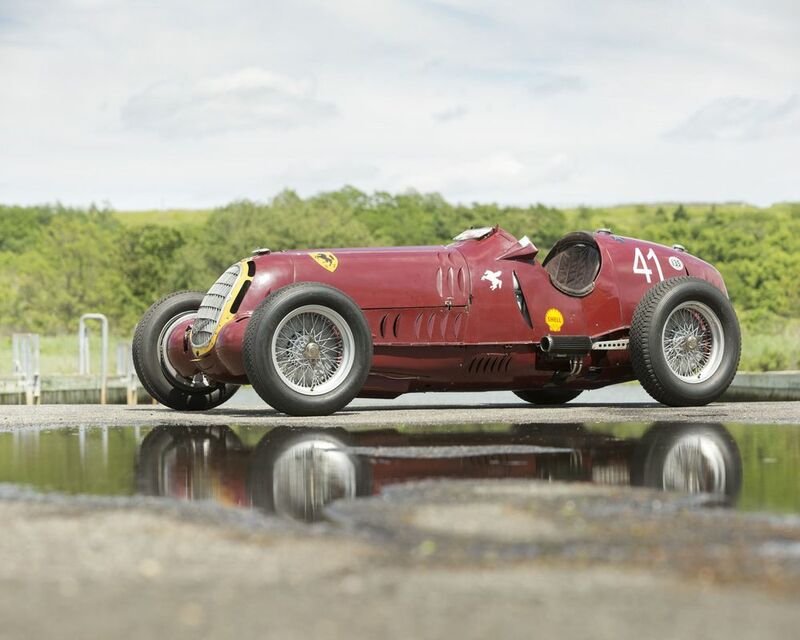 They were also two of Alfa Romeo’s most commercially-successful models. According to Britain’s Autocar magazine, another ‘Alfetta’ is being considered by the current management, however it is acting in a risk-averse manner, by slotting this concept into the ‘maybe in the future’ category. With most European carmakers' sustainable profits coming from SUVs these days, and large sedans drifting into relative oblivion, it seems the mantle, and the model may be stillborn. For the ‘Alfisti’ however, hope reigns supreme.